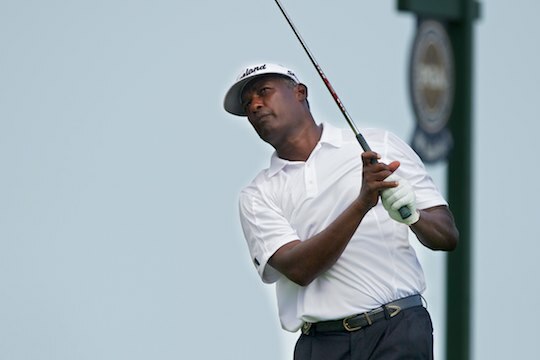 The now 50-year old Singh will now tee up later this week in the Wells Fargo Championship in Charlotte, North Carolina, and in an event he won in 2005, after almost three months without the slightest murmur from the PGA Tour. As well, Singh avoided all approaches to speak to the media about the issue but had claimed in a statement that he did not know the spray contained IGF-1. It was then last Tuesday that the CEO of the R & A Peter Dawson let slip that the Singh case was currently in the last week of the appeal stage. Bizarrely, New Zealander Bob Charles, and winner of the 1963 Open Championship, admitted within days of Singh being known to use Deer Antler Spray, that he had been taking two deer antler substance tablets twice a day for near on a decade. PGA Tour commissioner Tim Finchem made the announcement Tuesday at Quail Hollow Club, site of this week’s Wells Fargo Championship. Singh, who is in the World Golf Hall of Fame, has captured 34 PGA Tour titles include a Masters and two PGA Championships, was unavailable for comment. He is entered in the Wells Fargo Championship and scheduled to tee off in the first two rounds alongside fellow Major winners Padraig Harrington and Trevor Immelman.